Hair loss is an extremely common condition for both men and women. It is also one that can affect many aspects of your life. Thinning hair or bald spots can impact your social and emotional well-being as well as negatively influence your professional career. An inadequate amount of hair can damage your self-confidence and make you look older than you really are. Beverly Hills Hair Group proudly offers safe, effective and comfortable treatments to address your hair loss concerns. 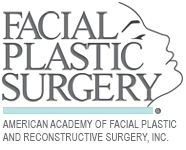 Dr. Talei is a skilled and talented plastic surgeon who uses the latest, most advanced techniques available to permanently restore all types of hair loss. Hair loss, or alopecia, occurs when the normal hair growth cycle is disrupted. Healthy hair growth follows a series of repeated stages, including phases of growth, transition and rest. An average scalp contains up to 100,000 hair follicles; no new follicles are formed after birth. About 90% of the hair on your head is in the growing phase at any given time, while 10% is in the resting phase. Your hair grows in follicular units, with each unit holding 1 to 4 strands. It is normal for you to lose anywhere from 50-100 hairs per day. It is considered significant hair loss if you are consistently losing more than 150 hairs per day. For such individuals, professional hair restoration or hair transplantation can help. The most common cause of hair loss in men and women is androgenetic alopecia (AGA). Heredity, hormones and age all contribute to this condition. In AGA, the hair follicle shrinks and causes the hair to grow thinner and shorter until there is a complete failure of new hair growth. Because the front, crown and top of a man’s scalp are the areas most sensitive to the hormones that cause follicle shrinkage, it is not surprising that male pattern baldness (MPB) accounts for up to 95% of hair loss in men. At Beverly Hills Hair Group, we can help you determine your specific hair loss trigger so that the most effective treatment can be provided. We understand that a large majority of the factors that influence hair loss are out of your control, but you can trust Dr. Ben Talei, a dual board certified plastic surgeon to deliver the best permanent hair restoration solutions regardless of your cause. Our state-of-the-art clinic in Beverly Hills offers revolutionary hair transplant technology, such as NeoGraft, to help patients regain a confident and full head of hair using the least invasive procedure on the market. 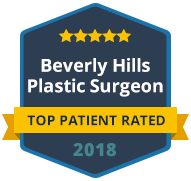 Call Beverly Hills Hair Group today to let Dr. Talei diagnose your hair loss condition and recommend the most successful hair transplant method.